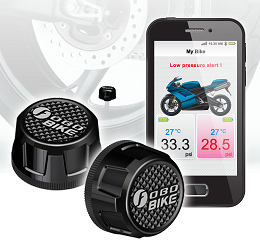 FOBO Bike is an advanced Wireless Tire Pressure Monitoring System (TPMS) using latest Bluetooth 4.0 that works directly with your Android (v4.3 or later) and iOS (v7.1 or later) device. Comes with 2 wireless tire sensors. 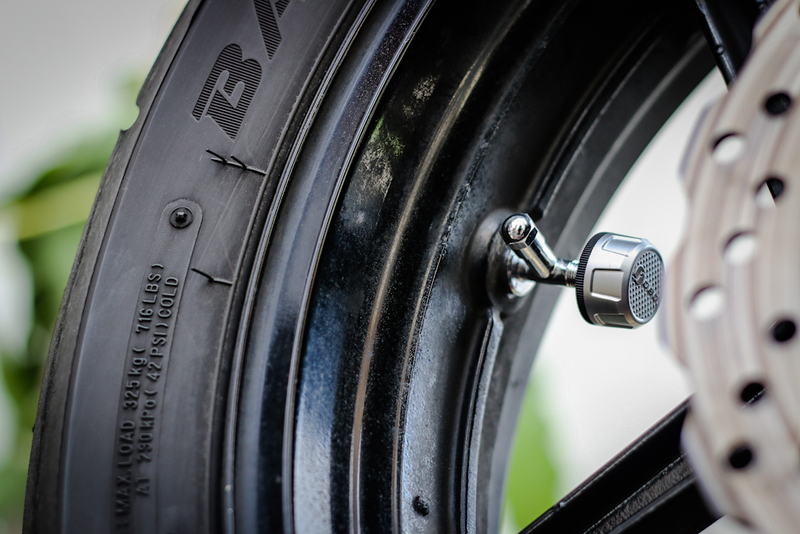 FOBO Bike works directly and wirelessly with your smartphone to provide the cool features that comes with FOBO Tire. FOBO Bike is designed to cater for two wheel vehicles (motorcycles and bicycles) with tire pressure below 600kPa(87psi). 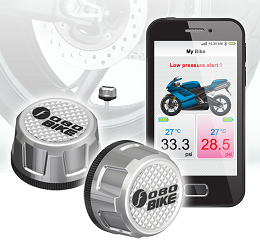 FOBO Bike is the world’s first all Bluetooth Smart advanced Tire Pressure Monitoring System (TPMS) for two wheelers and three wheelers. FOBO Bike uses the latest Bluetooth 4.0 that works directly and wirelessly with your Android and iOS device. 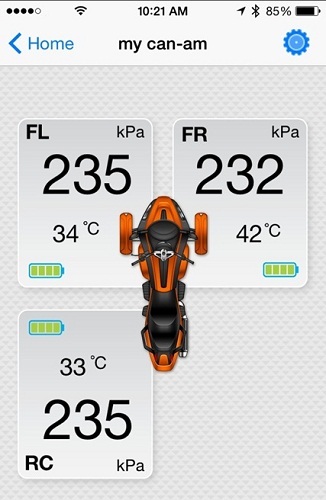 The main function of FOBO Bike is to monitor the air pressure and temperature of two wheelers & three wheelers like motorcycles, Can-Am Spider, bicycles. It then wirelessly transmits the readings to a smart phone where the user can browse. The user can set upper and lower thresholds of the air pressure. 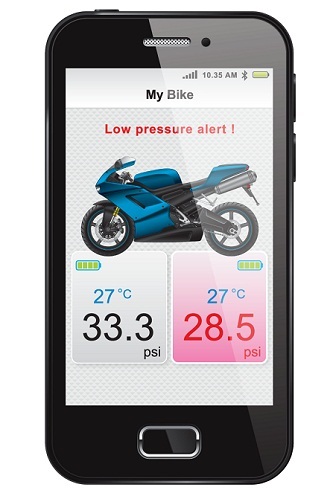 FOBO Bike will monitor the pressure based on the thresholds with its smart algorithm and will provide three levels of alerts when the thresholds are breached. available in our web store for purchase (21P-TM-VAL0012/R1) . Suitable for rim valve hole of diameter 8.3mm to 11.3mm. This requires installation at a tire shop. Refer to Specification section for fitting details. available in our web store for purchase. FOBO Bike only works on schrader valve. 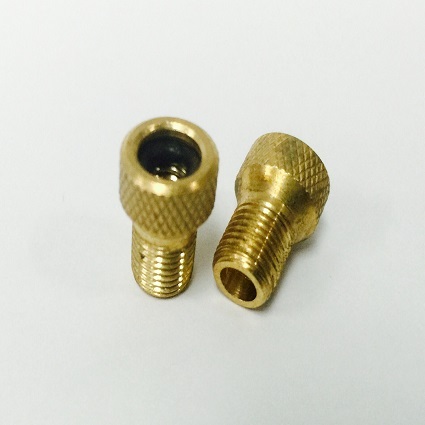 For Presta valve, please purchase an adaptor. 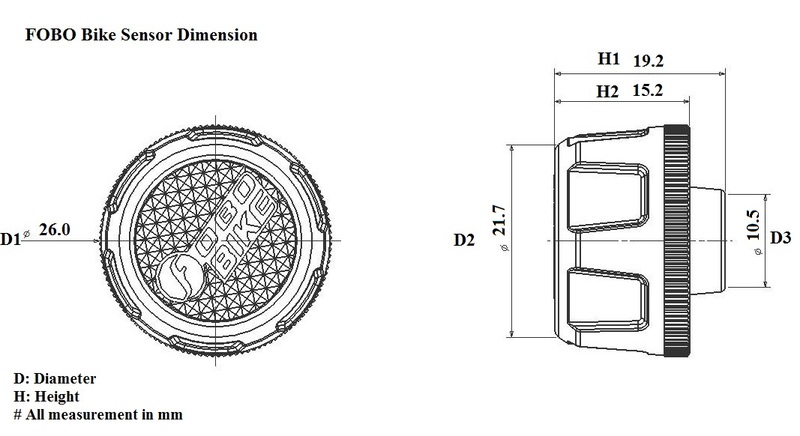 D1 is the required hole diameter to install the T-valve. Suitable for rim valve hole of diameter 11.3mm or 8.3mm. This requires installation at a tire shop. Refer to Specification section for fitting details. 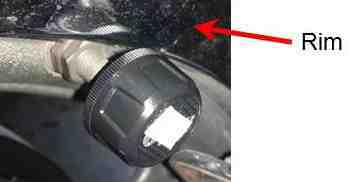 Please ensure sufficient clearance between installed FOBO Bike sensor and any part of the bike. There is a risk of damage to the sensor or ripping off valve from the rim or sudden air leak if clearance is insufficient; the valve may deflect under strenuous vibration. We recommend at least 10mm(1/2") and 5mm (1/4") of clearance for installation on a rubber valve and a metal valve,respectively. 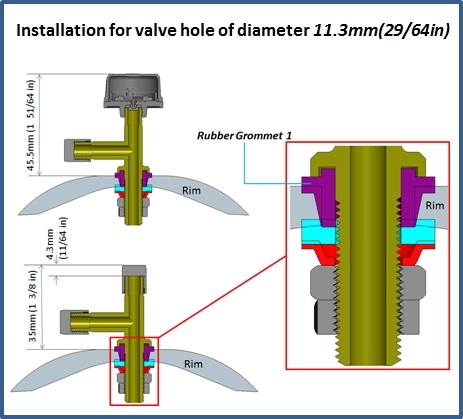 RUBBER VALVE: FOBO strongly recommends use of sensors with only metal valves as many as user finds that it is difficult to determine the fitness conditions of rubber valves. Use of sensors with rubber valves can cause a leak of tire blowout which it turn leads to sudden loss of control of the vehicles that subsequently leads to an accident and serious injuries. 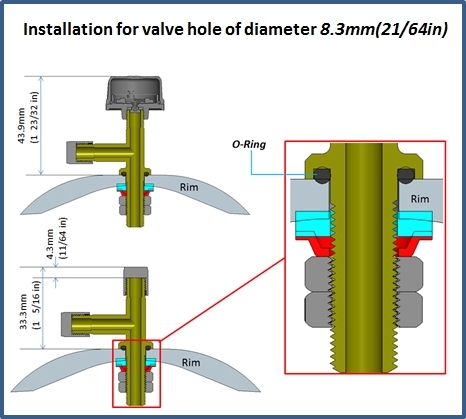 If user choose to use rubber valves, users must regularly check if the valves are fit to use. FOBO is not liable for any untoward consequences. Why do I have difficulty in pairing FOBO products with my smart phone during installation? Some users who use a smart phone with LTE (regardless of OS platform) may experience difficulty during installation to pair FOBO products. It is a worldwide known issue of interference of Bluetooth 4.0 and LTE signals. This can easily be overcome. During Installation, please momentarily turn off LTE but retain 3G connection. After installation, the user can resume LTE connection. What do I get from this set of FOBO Bike? What phone does FOBO Bike work with? FOBO Bike only work with Android and iOS smartphones with Bluetooth 4.0. Please ensure you update to latest OS, at least Android 4.3 and iOS7.1. How long can I use FOBO Bike? FOBO Bike uses CR2032 battery for sensor units. These batteries are easily available from local stores and would last up to 2 years on normal operating temperature. Operating in extreme cold climate may reduce the battery operating life. How to ensure my FOBO Bike sensors not stolen? 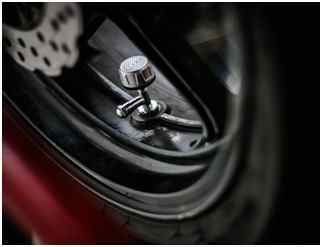 FOBO Bike comes with a mechanical theft deterrent feature. 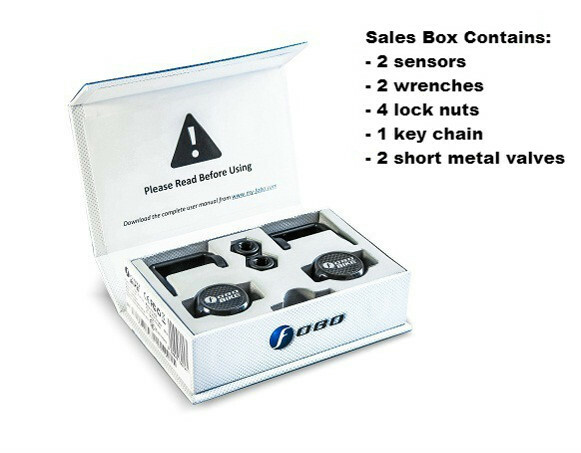 The package also comes with proprietary anti-theft nuts and portable wrench to mechanically lock the sensors. Can FOBO Bike work without a smartphone? You will need a smartphone with an installed FOBO Bike to enjoy the many features of FOBO Bike and to change settings. Can FOBO Bike work in all weather conditions? FOBO Bike is designed to operate under extreme cold and hot climate. And it's tested for water proof (IP57) and ability to sustain high impact (350N spot pressure intensity) to ensure long durability and reliability. What if I rotate the position of my tire? FOBO Bike app is so easy to use. Just click switch tire position in the app to change. What if there is more than one person using my vehicle? Can they use the FOBO Bike installed in my vehicle? You can share FOBO Bike with family and friends (up to 100 smartphone users). Key in their e-mail address that will be used to login to their FOBO account and it will be synchronized with FOBO cloud via our CrossPair technology. How far away can I detect FOBO Bike readings? FOBO Bike uses Bluetooth low energy (Bluetooth 4.0) to send out signals. Typical range of Bluetooth 4.0 is 30 meters line of sight without anything blocking the signal. How can FOBO Bike work when my vehicle engine is turned off? 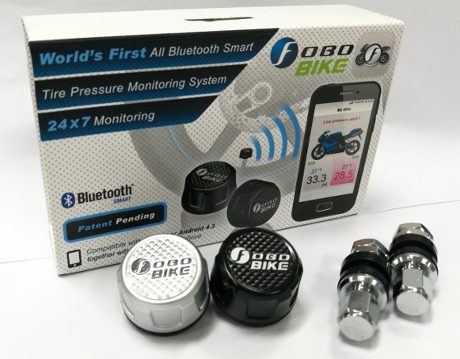 Your smartphone will pickup signals from FOBO Bike sensors via Bluetooth 4.0. 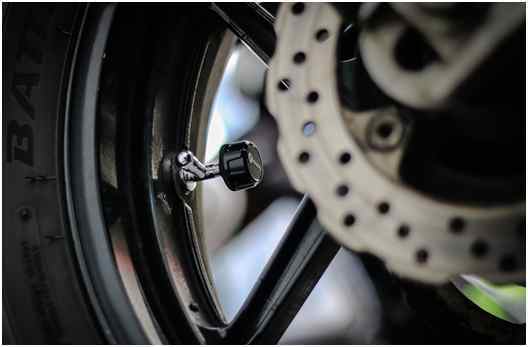 You can check your bike tire pressures any time knowing that they are working 24x7 round the clock continuously monitoring the tires for you. Some users may see “This file may harm your device”, please ignore this warning. The download should start immediately after users ignore the warning. After download is complete, users can simply tap on the notification to start the installation process. If users have removed the notification, users need to browse the download folder using the file manager and click on the downloaded file. Just follow the installation process until it completes.